There are two recent variants of the TT-02 Type S worth considering for this; the standard kit (58600) which remains widely available and if you can still find one, the drift spec kit (47301). 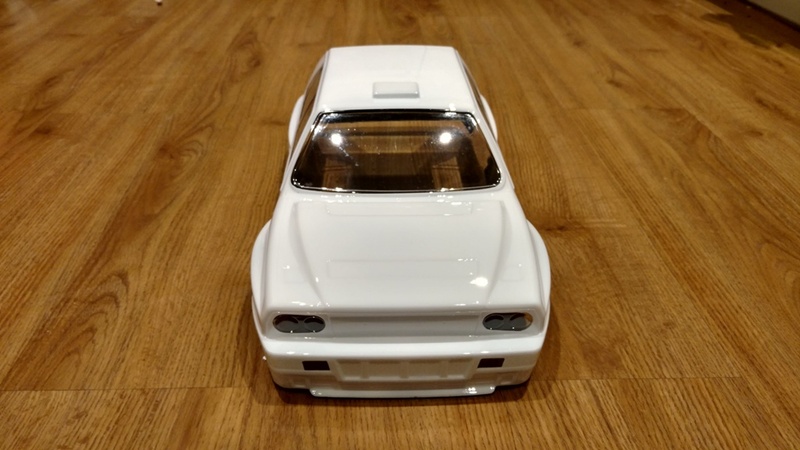 I purchased the TT-02D Type S because it was on offer at £99 (not to be confused with the standard non Type S TT-02 drift chassis 58584). I decided to build this rally car from the Type S chassis kit simply to see how good it would be and to answer many of the common questions which appear on here and in other forums on the suitability of the Type S for rally. I have owned a variety of the standard Tamiya rally cars over the years and although I haven't finished this yet, based on the rolling chassis and ground clearance it looks like it is going to be pretty decent for bashing. The standard TT-02 rally cars, which currently come in either the Lancia (58570) or Subaru (58631) variants, are ok but as per all regular TT-02 kits they lack any real adjustability. Notable exclusions from the standard kits which in my view should be essential for Rally are ball bearings and oil damped shocks. 1) Why chose the Type S variant over the regular TT-02? The Type S is a much higher specification TT-02 and has a number of aftermarket parts including:  FRP suspension arms (51297), FRP axle uprights (51293 / 51352 ),  FRP suspension mounts (14305646 / 14305647),  metal 12mm hex wheel adapters (53056),  Super Mini CVA Shocks (50746),  full ball bearings,  adjustable threaded turnbuckles and steering arms, and  steel suspension mounts (54634). The TT-02D Type S variant (now discontinued) also includes the Tamiya aluminium propeller shaft (54501) and propeller joints (54502). The cost of buying all these separately as hop-ups including the spacers and screws and other extras not mentioned could easily be the cost of the kit again at ~£100. 2) I understand you can't increase ground clearance at the front with the FRP suspension arms? This is true in standard form because the upgraded FRP front arms are restricted where the axle upright meets the suspension arm cross bar. Removing a small amount of material from the suspension arm cross bar, increases the ground clearance significantly. The steps to do this are shown further below. 3) How much ground clearance can I get? With a small amount of material removed from the front suspension arm cross bar, using the standard CVA Super Mini Shocks with the short lower shock eyelet at the front and long eyelet at the back; the ground clearance is 1” / 25mm. You can increase this further both front and back but the maximum is approximately 35mm before the dogbone style driveshafts and turnbuckles are at a comfortable limit. 25mm is plenty for off road with this chassis and its off road capability is really limited more by wheel/tyre size beyond this. 4) Do I need to upgrade the Super Mini CVA Shocks which are included to Mini or Short CVA Shocks? No, they are perfectly fine as they come in the kit. The Super Mini CVA Shocks (50746) can be built to a standard length of 56mm using the short length lower eyelet and 62mm using the long length lower eyelet. Both of these eyelets are included on the parts tree and with the adjustability of the arms you can max out suspension travel and ground clearance with the Super Mini Shocks. The difference between the Super Mini CVA Shocks and regular Mini CVA Shocks is in the damper piston body. This is shorter on the Super Mini Shock but the piston rod is the same length allowing the same maximum stroke. 1) You will need a body. 2) You will need an ESC. 3) You will need Rally Block tyres. The standard rims are 1.9" (49mm) so Tamiya Rally Block tyres (50476) will fit. 1) The main modification needed on this chassis to increase the ground clearance is to the front suspension arms (51297). The rear suspension is free moving. a) The extract from the manual below shows where the binding occurs. You simply file the material away on the suspension arm cross bar (highlighted in green) to the new profile. I used a square needle file with blank edges so no material was removed from the side of the arms. I chose to remove material on the cross bar rather than the axle upright since the profile on the axle looks to be key to achieving integrity of the whole upright part. 2) The rear CVA Super Mini Shock unit needs to be built with the long eyelet (tree part 2) from the parts tree not the short eyelet (tree part 1). The front uses the short eyelet as per the standard instructions. 3) Instead of installing the suspension arms so the orientation is for the 2 mounting holes for the ball connectors that connect to the lower shock eyelets; the arms are reversed to orientate with the 3 mounting holes. These arms are fully reversible so this is fine. If the images don't show up for you below let me know and I will re host. I haven't done much to the car but the body shell is cut now. Here are some pictures of the finished chassis so you can see the ground clearance. This is quite happy running in 6" + long grass off road. I have done a very quick test run and I am pleased with it so far. Nice diagrams and pictures; it's very clear what to do. Also, you did a fine job of the actual modification - what did you use? A file? Do you plan to use softer springs? I found the regular onroad springs to be a little stiff for off-road use on my TT01R rally conversion. Thanks, square needle file for the mod. The standard springs have been fine so far but I won't know until I undertake more comprehensive testing. Suspension set up tends to be very personal depending on driving style and surfaces but I will update if any changes make noticeable differences to handling characteristics. Top write up... One day I'll be looking for more ground clearance on my stock TT-02 so this will help no end. 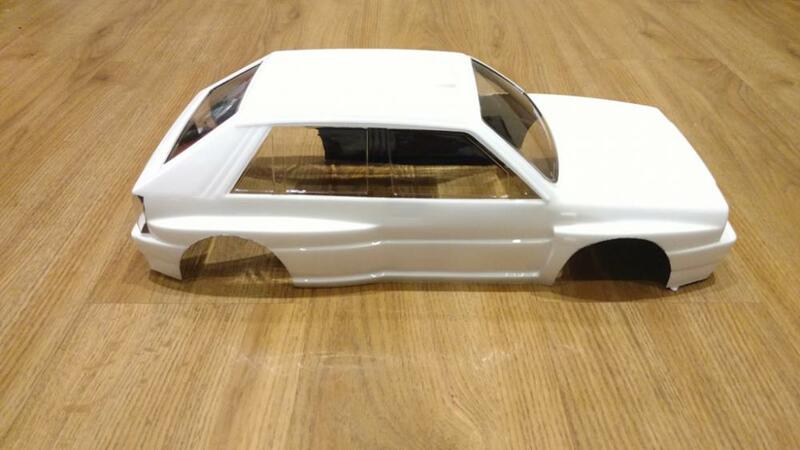 Looking forward to seeing the finished bodyshell too! Hi suggest you longer dampers with shorter eyelets. I can see the advantage of doing this and it would normally be best practice - ideally you should have the chassis ground out before the suspension has reached full travel. If it's not the case you put strain on mounting points under full compression. You don't really need longer shocks. The Super Mini CVA have a decent compression travel due to the piston rod length. Don't forget my measurements are eyelet to eyelet, the overall shock lengths are 62mm with the short eyelet and 68mm for the long eyelet. The bottom of the chassis grounds itself before the suspension runs out of travel. Right, I installed one of my new Orion Method 12x2 motors in it tonight. For off road, the standard gearing is virtually bang on what Orion recommends. It feels like it is doing 25-30mph on a 2s lipo which is fine. It is accelerating strongly and the motor is only getting warm. I also protected the underneath with fiber reinforced tape. I am using the Fastrax Rally wheels and tyres at the moment. The front diff is stiffer than the rear by about 30%. Running on tarmac the grip is perfect. There is no wheelspin in the dry off the line even with full acceleration. It has sharp cornering and by gently accelerating into the apex then hard out of the corner, it pulls the back round and allows an almost rally like cornering on the tarmac. On the loose pack, I can imagine it will give some good power slides. Couple of pics of the motor install. Is that an aluminium pinion? I'm building a TT01 up as rally spec so following your thread with interest. It's the stock alu 22T. Will see how it holds up. One thing I did for my TT01 was cut a red shop rag in the shape of the chassis, sew some Velcro onto it, and stick the other part of the Velcro on the sides of the chassis. It makes a nice chassis cover for the electronics as it blocks the mud but still breathes to keep stuff cool. As a bonus, I can throw the rag in the wash to clean it for reuse later. No way, go for steel one. Cheers, may change the pitch anyway using the high speed gear option parts. Well, I finally found time to mask and paint the body. I have also applied the stickers and fitted the lights/mirrors/spoiler etc. Overall, the quality of the stickers on the killer body set are not great, I have had a lot of issues with peeling despite having a grease free body. I will be removing the window smoked stickers and black frame stickers then painting / detailing by hand instead. For now just a couple of photos of the pre stickered shell.